NASCAR heads to Auto Club Speedway and the next test for the sport's new aero package. Kyle Busch now has 199 NASCAR national series wins after his latest weekend sweep at ISM Raceway. How impressive will it be in your eyes when he gets win No. 200? Jim Utter: Kyle Busch's accomplishments are already quite impressive in my opinion. I know the 200 mark was important for Kyle. And how many talented athletes set a ridiculously high standard for themselves and are actually able to reach it, and even surpass it? Not many. Busch is going to be winning races for years to come. While the 200 mark is certainly a milestone, I'm not sure we have even seen the best Busch has to offer NASCAR yet. Can you imagine a Kyle Busch is gets a late-career resurgence like Kevin Harvick? Watch out! Nick DeGroot: What Kyle Busch has done is impressive. What Richard Petty did was impressive. But you can't compare the two. 199 wins across the three national divisions in the modern era and Richard's 200 Cup wins back in the day are incomparable. So instead of trying to rate Kyle's accomplishment against others, why don't we just appreciate it for what it is? He has showcased absolute dominance in the Xfinity and Truck Series, even against fellow Cup drivers in similar equipment. At the Cup level, only ten drivers in history have won more, and he's far from done. Tim Southers: I think his mark of 200 NASCAR national series wins (when he gets it) will be something to remember. I think Richard Petty’s record is impressive and will stand the test of time, but comparing the two records are little apples to oranges. Why can’t we just appreciate both records and appreciate both drivers who recorded them. Busch did mention he would go after 100 Cup wins in his career and I think this is very reachable for him if he decides to race into his mid 40s. Ford and Toyota have now each won two races so far this season. 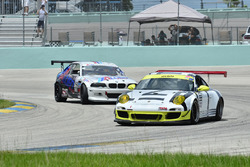 Do you think they will be the two to battle it out for the manufacturers title this season? Jim: Way too early to tell but it certainly looks like Chevrolet teams are once again slow out of the gate. There is plenty of time for that to change of course. And there has been plenty of raw speed shown already by Chip Ganassi Racing and Richard Childress Racing. Once they find a way to close the deal, I think wins are coming. Hendrick Motorsports looked like it took a big step forward at Phoenix as well. Nick: While Chevrolet continues to play catch up, it certainly is shaping up to be a battle between Ford and Toyota. And not just for the manufacturers title, but the Cup title as well. The season is young though, so don't count Chevrolet out just yet. Tim: I must admit I’m surprised at how strong Ford has looked out of the gate with the new Mustang after Chevrolet had its problems with the Camaro last season. I agree with Jim that Chip Ganassi Racing has been fast and Richard Childress Racing has shown speed too, but they still seem to be a tick off at the end of races. I honestly think we will see one and maybe two Chevrolets in the finals for the championship, but there is a lot of racing to go. Kyle Larson and Chip Ganassi both finished in the top-10 for the first time as teammates and seem to be the most consistent Chevrolet team so far this season. 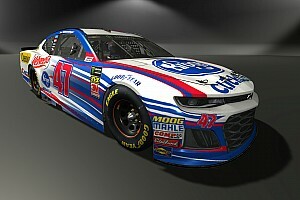 Do you think Larson can win this weekend and give Chevrolet it's first Cup win of the year? Larson excels on two-mile speedways scoring four of his five career Cup Series wins on tracks that size. 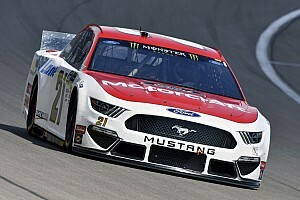 Jim: I suspect this weekend's race is the best opportunity so far this season to see if Chip Ganassi Racing can put an entire race together and capitalize on it with a trip to Victory Lane. It's certainly a good track for Larson and Kurt Busch has actually been running more consistently than Larson has at times this season. It will be interesting if Larson continues he strong performances at Auto Club Speedway with the new aero package in place this season. Nick: It's a different ballgame with this new aero package so I am hesitant to look at previous performances when trying to predict what will happen on Sunday. Auto Club is not Las Vegas and this package will look quite different there. Tim: I pick Kyle Larson to win this weekend at Auto Club Speedway and feel this is there best chance to score a win based on both Larson and Kurt Busch having won at the track before. The one big difference in the race this season will be the new rules package being used so it will be a race worth watching for sure. 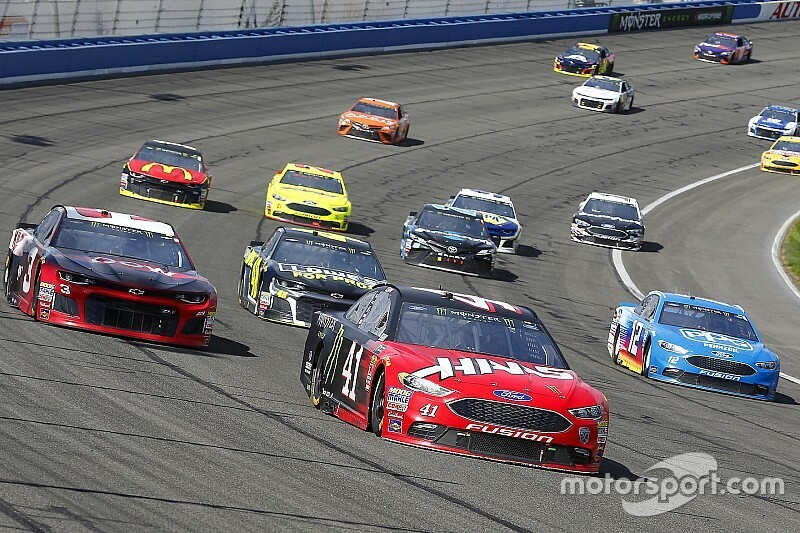 Do you expect a different race at Auto Club Speedway this year with the new rules package? Jim: I've been looking forward to this race, in part because I see it as a mix of the best of Atlanta and Las Vegas. The entire aero package will be used but it's a worn track that already produces three and sometimes four racing grooves. If the field remains closer together with those elements in place, I think the potential exists for this to be the best race yet of the season. Nick: As I said above, very much so. Auto Club and Michigan with this new aero package are going to make for some incredible racing and insane restarts. This race will be all about the draft and keeping the momentum up. I expect it to be a thriller. 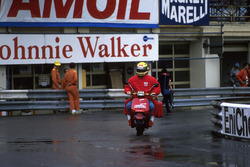 Tim: I must admit, I used to hate this race at this track. Maybe it was the fact Darlington Raceway lost a race to the track, but the racing just wasn’t that good in my opinion. Boy how things have changed from the racing side of things as this has produced some great racing, good finishes and numerous story lines. 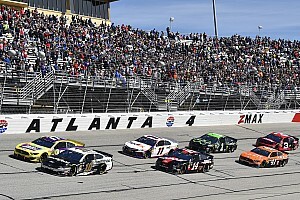 If this new package performs as hoped, I think this could wind up being a race with a finish fans and media will talk about all year long and into the future.